And more of us may be clinging to desktop players and local music files than you might think. According to Nielsen, while streaming topped all other forms of music consumption in 2017 in the US, we still bought nearly 555 million digital tracks and over 100 million physical albums, many of which will be ripped into digital format. According to the International Federation of the Phonographic Industry (IFPI), some 44 percent of music consumers are still purchasing physical or digital copies of music. Music sales don’t necessarily map exactly to how many of us are still using iTunes or an equivalent player, but it seems desktop music players aren’t quite dead yet, even while millions make the switch to Spotify or Google Play Music. Dust off your digital MP3s, fire up one of these iTunes alternatives, and you might rediscover some hidden gems lurking at the corner of your hard drive. You might even be inspired to start seriously curating your music collection again, rather than settling for whatever the smart algorithms queue up for you. The Plex suite of tools has long been able to get your music collection streamed to mobile apps and through a desktop web browser, but it recently added a new application to its roster in the form of Plexamp. 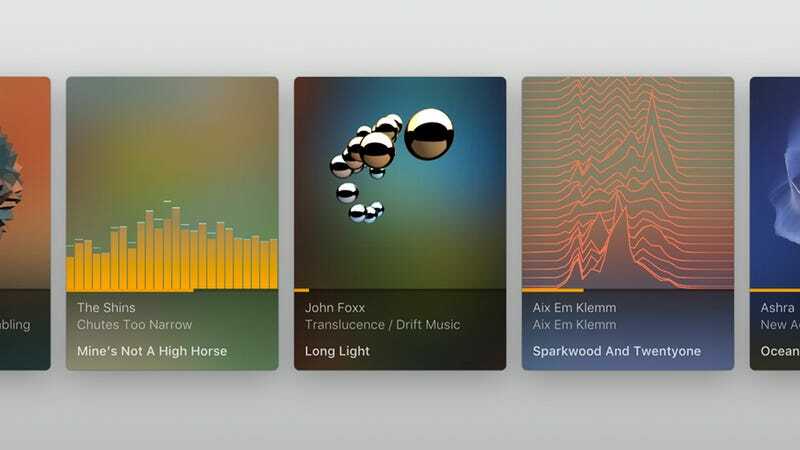 With an obvious nod to Winamp in its name and design, Plexamp focuses on making it as simple as possible to get at your music files, wrapping your playlists and albums up in a choice of appealing-looking skins and plenty of nice visual flourishes. It’s a little buggy at the moment, and you do also need a Plex Media Server set up at the same time to access your tunes, but if you value simplicity and style above all then it’s well worth a look—the way it uses searches and auto-discovery tools instead of the standard grid of albums and tracks is particularly interesting. Few iTunes alternatives are as fully featured, as slick, or as nice to look at as MusicBee is. In fact it includes just about every feature you could want, from volume normalization and CD ripping, to Last.fm scrobbling and an integrated equalizer so you can tune the sound output to your exact tastes. The application will make short work of scanning in tracks stored on your computer—it can import a music library direct from iTunes if needed—and provides a plethora of ways for you to get around your files. If you find the default interface a little overwhelming then the smart Theater Mode is a useful alternative layout. With support for smart playlists, compatibility with quite a few Winamp plug-ins, cross-device syncing, a choice of skins to make use of, and a busy user community behind it, MusicBee is perfect for iTunes refugees—as long as you’re on Windows. Mac users who love a minimalist aesthetic are likely to be keen on Vox Music Player, a straightforward but stylish player for your desktop. Get it loaded up, drag some tracks from the Finder into the playlist panel, and you’re off and running. If you want to go further with your music though, Vox can oblige—sign up for a Vox Premium account ($4.99 a month) and you can sync music and playlists between different devices, hear your tunes at the maximum resolution, get the music player working with your Sonos speakers, and access more advanced audio settings. With support for playing SoundCloud files and YouTube videos from the web as well, it’s a great option if you do want some powerful music playback controls but don’t want all the extra clutter than iTunes brings with it. An iOS app is also available. For many years, MediaMonkey has been providing a quality alternative to iTunes and Windows Media Player on Windows systems, and it comes with just about everything you need to manage a media library on your PC. Despite its comprehensiveness, it remains responsive even with the biggest libraries. Alongside all the standard music management features you’d expect, there’s support for podcasts, CD ripping, file conversions, volume normalization, internet look-ups for missing track and album information, and syncing to iOS and Android devices. You can share files over a local network, get deep into metadata tagging and much more. The interface isn’t the most modern-looking, but for those who like full control over their music library and the ability to dig into it in a number of ways, it’s ideal. A premium option (a one-off payment of $24.95) is available that gives you better quality ripping, faster conversions, advanced search and playlist creation, and more. You may have heard of or used VLC Media Player before and only thought of it as a tool for playing single files in just about any video or audio format imaginable. Yes, it does do that—but it’s also a surprisingly decent replacement for iTunes as well. You can, for example, use it to build up and manage a full music library, as well as create simple (non-smart playlists). It even comes with a few cool visualizations you can try out, and as we mentioned above, it supports an impressively long list of file formats. You get a number of filter and equalizer effects too if you want to play around with the audio output. VLC isn’t going to win any awards for its user interface design, but it includes everything you need, and when you want to call on a more advanced feature—like sharing files across a local network—chances are that this application has the capability you need. Swinsian—the word means to make a pleasing sound—is designed to be both sophisticated and fast, no matter how many audio tracks you import into it. The application also has a distinctly iTunes-like feel to it, so you’re going to feel at home straight away. You get multiple different ways to view your music library, from a grid of album covers to a Finder-style series of columns, and the program comes with everything you need to keep your music collection organized, including a tag editor and a duplicate finder. Tunes can be imported from watched folders or from your existing iTunes library. With the mini window and desktop widget options, you also get a choice of ways of putting Swinsian on screen, so it’s well worth a look if you want something that’s less bloated than iTunes, but still keeps a lot of the same feel. Swinsian will set you back $19.95 but a free trial is available. Kodi is another of those apps you’ve probably heard of or used, but never thought of as a way of ditching iTunes—it’s usually associated with video rather than audio, but it comes with some very capable music management features, and works on just about every mobile and desktop platform out there. If you’re going to trust Kodi with your music collection, you’ll find it’s able to cope with the majority of popular audio formats, and lets you browse through your tunes by album, artist, genre, recently played tracks, and so on. It even lets you create your own smart playlists based on a set of custom criteria, just like iTunes does. Importing tracks from specific folders or your iTunes library is straightforward enough, and while the program is primarily designed to be used on a big screen, it works perfectly well on a desktop or laptop too. A whole host of add-ons and skins are available too, to help you make the software your own.